JobFairGiant.com Largest Monthly Michigan Job Expo. With over 12 years in business, we work with the top local and national employers to connect them with candidates through our online job board and in person at our monthly job fair events. 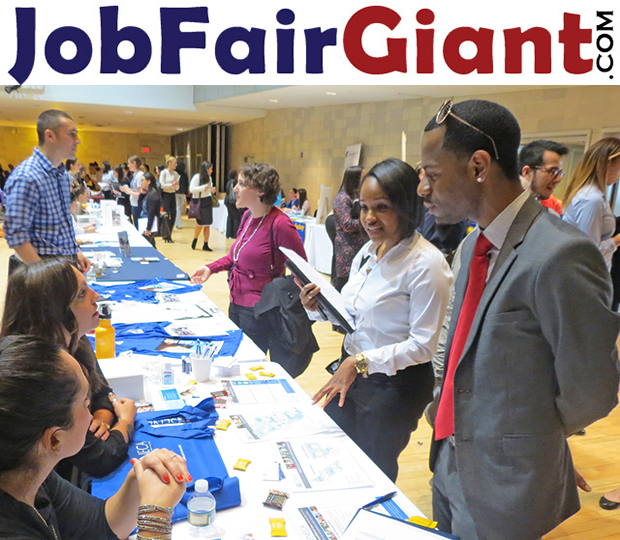 JobFairGiant.com events are highly popular in the eyes of both employers and potential employees. Our job fair events help candidates identify new job options, network with hard to reach employers, land a new job faster and interview sameday with employers. This is an ingenious way to meet, interview and get hired for immediate job openings. JobFairGiant.com job fairs target a diverse group of candidates in several career-fields including but not limited to the following: Technology, Engineering, Healthcare, Factory, Blue-Collar Workers, General Labor, Skilled Trades, Construction, Technical, Sales and more fields. Save the date for the next Detroit Internship Job Fair. A variety of job and career fairs take place across the state to bring job seekers and employers together. Let JobFairGiant.com do all the expensive advertising and recruiting for you. Companies have to advertise if they want to attract job candidates for new or vacant positions available. Advertising is both expensive and time consuming. Job fairs, on the other hand, enable employers to attract a large pool of employees without having to advertise using often less effective recruiting means such as newspapers, sponsored ads and commercials on television. To participate in a job fair, companies may have to pay a fee, but they are able to narrow down the qualified candidates in a short time and save numerous recruitment expenses. JobFairGiant.com does all the advertising for you saving you thousands of dollars. We have candidates ready to fill your open positions. Want to post your jobs? Employers. Receive 100 Resumes. No Cost. Career Fair booth with priority placement and "Featured Employer" designation. A variety of job and career fairs take place across the state to bring job seekers and employers together. Let us do all the advertising for your job openings. Our Michigan job magazine advertising offers many benefits to employers advertising our national distribution is seen by over 125,000 unique viewers monthly. We are the largest monthly printed job magazine in Michigan. Reach the most job seekers today. Post your jobs online to attract talent from mobile and desktop devices.Find the right candidates faster. To reach more qualified candidates, pay to promote your postings as Sponsored Michigan Employer. If so, why don’t you get in touch with us so we can connect you with hiring companies.